Rated 5 out of 5 by Robb1313 from Well-built Workhorse This is my second Generac Quietsource Genset. My first was a 22kw at a previous home installed in 2009. It's provided power flawlessly for the last 10 years, so when I moved into my new home, I didn't hesitate, I purchased my new 27kw Quietsource genset immediately. 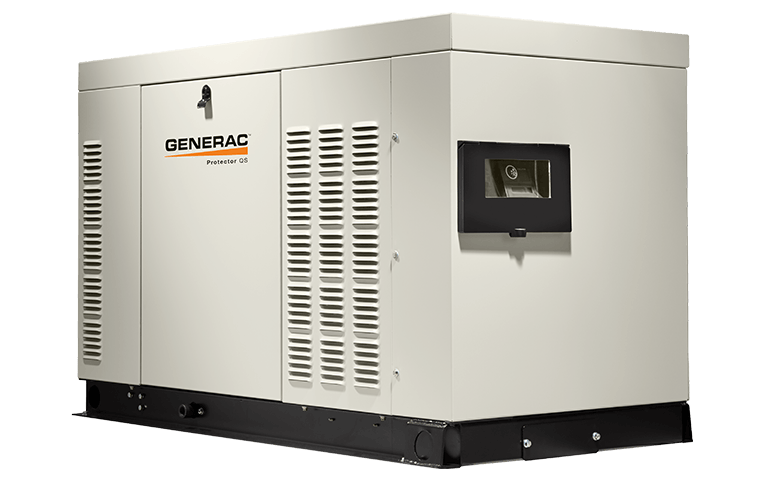 This generator is everything and more I came to appreciate in Generac. Well built, quiet, and great looking. I'm actually looking forward to losing my power! Rated 1 out of 5 by Jackie from Does not work, low oil lite on Out of box, does not work. Low oil error message, however oil level ok. Rated 5 out of 5 by pwow from Peace of mind From the moment our Generac was activated we felt immediate peace of mind. We no longer need to worry about losing power and being without air conditioning or losing everything in our refrigerators. Noise from the generator is minimal. Rated 4 out of 5 by Larry01 from Great features Very nice generator package, it is very quiet and easy to operate. Maintenance will be an easy task as every thing is very accessible. Rated 3 out of 5 by jawz from Very close recommend vs no recommend Thermflo/Zonatherm did an A+ job of installing and activating this replacement for my 20K Generac from 2007.Biggest issue is Generac changed the color codes of the wiring 12V Red is now 12V black on the RG027, turns out 12V on Gen is + (plus) not - (minus) transfer switch matched 12V Red to generator. Makes no sense for Generac to change color on a positive lead to black. Also confusing 240v sense having two posts for each L1 and L2 caused tech to plug L1 and L2 from xfer switch to what appears to be pin 1 and pin 2, however, it's really needed to skip a pin, but, no label on the generator. This caused a difficult to find near 5pm fuse set to blow in the transfer switch. Lastly I called Generac about the home 10 yr warranty promo before I ordered the generator, they said only the cheaper air cooled are included, IMHO misleading advertising and no offer from Generac to provide a warranty discount. Makes me think they don't believe in their higher end products. The above said, runs much quieter then the 3600rpm 2 cylinder I had before and installation company does GREAT work to make up for Generac's lack of detail and concern. So... if you buy it make sure you trust your installer. I'm much more tech savvy than most as I run Data Centers with 600K units in parallel. So, I feel confident in my assessment of the Generac shortcomings and the skill of the installer to overcome them. Rated 5 out of 5 by RCG from Super satisfying unit. Works like a charm, so quiet & dependable. Unit hardly notices when AC kicks on. Low speed, liquid cooling, this unit should last a lifetime. Rated 5 out of 5 by Trice from Performs as advertised For having a large unit outside house, this unit is great in appearance and blends in nicely to house. Not as loud as I thought it would be either. Rated 4 out of 5 by Al from This product performs as advertised Everything was as expected. Initialization was excellent. The only issue I had was the cost of the 5 yr maintenance plan. I hope I am not disappointed with a plan that cost over two thousand dollars. It was kind of quietly inserted in at the last minute. Makes me a little wary of any new Generac products that may be coming to appear. 27kW-RG027-QS is rated 4.5 out of 5 by 36.